Malcolm Fraser claimed late last year that the next federal election would be about Muslims. And if Pauline Hanson has her way, the Queensland Senate ballot will certainly place Muslims in the box seat. Not bad for a group who make up around 0.175% of the Sunshine State’s population. 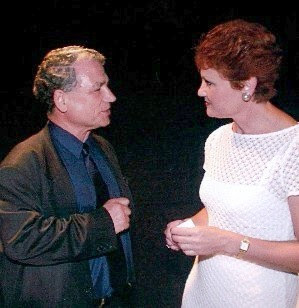 At 7:10am on 17 August 2007, Karl Stefanovic from Channel 9’s Today Show apologised to viewers for the manner in which he conducted an interview yesterday with Pauline Hanson. His interview also sparked plenty of adverse comment on NineMSN’s website. Stefanovic’s co-host also suggested he had also copped flack from Channel 9 management over the interview. So what did Hanson say that raised such emotion? She said she felt "very discriminated against in my own country". She also spoke about how we can no longer sing Christmas carols in schools or play them in shopping centres. She called for a "moratorium" on Muslim immigration, and suggested that people who want to carry out female genital mutilation should "go back to Muslim countries." Given that FGM is banned in many Muslim countries, I’m not sure where she expects people to go. Further, the practice is also common amongst sub-Saharan Africans of other faiths, including Christians and Jews. 1 in 4 Muslims are from the Indian sub-Continent, where the practise is unheard of. But who gives a cr-p about the facts? I think it's better than what it was before, with 9/11, Cronulla, Hilaly. Mainstream Australians are terrified that we're going down the European track, with problems with Muslims. Hanson isn’t the first person to use such language. Fred Nile used similar language in the NSW State Election. His party will play host to Tony Abbott at its annual convention in Sydney tomorrow. So is she part of some sort of public movement, or is this candidacy just another attempt by Hanson to make money out of the electoral system? The Herald Sun notes Hanson will make $2.05 per vote should she make the Senate quota of 4% of the Queensland vote. Whatever the real story, the fact remains that these days you can say anything you like about any group deemed Muslim and get away with it. And if any Muslim dares ask even the slightest question, you can rabbit on about how they are trying to silence you and discriminate against you in your own country (which presumably isn’t theirs). Anti-Semitism has turned into anti-Muslimism. Same sh-t, different smell. ... Except other things are not equal. Each one of these perfectly rational subjects, taken together, has created a perfectly irrational mood: a kind of drumbeat of hysteria in which both politicians and media have turned again and again on a single, small minority, first prodding them, then pounding them as if they represented the single biggest problem in national life. The result is turning ugly and has, predictably, spilled on to the streets. Muslim organisations report a surge in physical and verbal attacks on Muslims; women have had their head coverings removed by force. I try to imagine how I would feel if this rainstorm of headlines substituted the word 'Jew' for 'Muslim': Jews creating apartheid, Jews whose strange customs and costume should be banned. I wouldn't just feel frightened. I would be looking for my passport. It seems making a tiny group feel very marginalised isn’t too high a price to pay for $2.05 a vote. It really does pay to subscribe to NewMatilda.com. Many regard this website as just another bastion of left wing propaganda. However, many of the writers are anything but left wing. A recent article by Warren Reed is a case in point. I first met Reed at the filming of a Geoffrey Robertson Hypothetical program to celebrate the anniversary of The Bulletin, one of Australia's most read news and current affairs magazines. Reed appeared on the show as an intelligence analyst and operative working at the Australian embassy in the fictitious country of Nirvana. Reed has close links to the intelligence community, having served as ASIS station chief in Cairo. large number of people working in the intelligence community are really worried. Sadly, the Howard government has politicised Australia's intelligence agencies. Instead of hiring experienced spooks, the Howard government is content to appoint people with little experience in domestic or international intelligence. agency and their domestic security service. known as MI6) with an ‘A’ added, while ASIO is copied from MI5. And what are the British doing? of MI5 for two years and a career officer for 27 years. Reed is also concerned about loss of morale in the Australian Federal Police (AFP). He points the finger at John Howard and Alexander Downer, both of whom humiliated Australia's top cop after he dared to question whether Australia's involvement in the Iraq war made us any safer. Downer went to the extent of describing Mick Keelty as an al-Qaeda propagandist. Of course, our decision to participate in the Iraq war has hardly made the country more stable. Instead, al-Qaeda is thriving in Iraq. And neither Iraqis nor Australians are any safer. The head of a conservative think tank in Sydney once suggested to me that I should go easy on Daniel Pipes, a far-Right American-Israeli columnist and commentator on all-things Middle Eastern. "Seriously, you and he have alot in common," the fellow said with a surprisingly straight face. I wonder at why allegedly conservative think tanks and newspapers keep publishing Pipes' material. Is it that they share the same prejudices that he does? Is it because they regard him as an expert just because he is able to speak modern Arabic? Is it because he has a PhD from Harvard? Shi’ites and vice versa, non-Muslims are less likely to be hurt. Civil war in Iraq, in short, would be a humanitarian tragedy, but not a strategic one. Pipes wrote these words in a 2006 article published in the Jerusalem Post.